Teleantioquia is a general public television channel of Antioquia, Colombia. It started broadcasting of programs on January 16 1985 as the first regional channel of Colombia. ‘Passion for our’ is slogan of Teleantioquia. It offers educational programs, music, sports, films and foreign productions, chronicle events, children’s shows, youth programs and magazine shows. Its programs are created with great profundity. 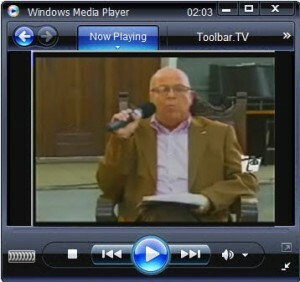 Teleantioquia broadcasts programs under the Radio and Television Society of Antioquia SA (SRATEANSA). Teleantioquia provides its services nationally and internationally by system of telecommunications. Its musical program ‘Musinet’ is popular amongst Colombians. Teleantioquia can be watched with the help of terrestrial satellites and international satellites such as Direct TV. CMB- is a Colombian local Religious television channel. CMB is based in Bogota. CMB is owned by the Centro Misionero Bethesda, a christian congregation. The broadcasting of CMB channel is granted by National Television Commission on 9th January 2004. CMB is religious based channel meant for the local people. CMB aware the Colombian about their culture and ethics.